Montana Workers’ Compensation FAQs | Foust Law Office, P.L.L.C. On this FAQ page, find some of the most common questions about Montana workers’ compensation benefits and answers from Lucas Foust. He shares his thoughts on many legal issues related to on-the-job deaths, serious injuries, long-term care, benefits denials, and more. What should I do if I’ve been hurt at work? If you are injured at your job in Montana, you may be entitled to workers’ compensation benefits to pay your medical bills and your wages while you are off work recovering from your injuries. Montana’s workers’ compensation is a no-fault system, which means that you could be entitled to benefits regardless of who caused your accident or occupational illness. However, you need to take certain steps to protect your rights to these benefits. Seek immediate medical care. If you know that you suffered an injury, you should seek immediate medical care to protect your health. Even if you do not believe that you were injured, you should be examined by a doctor promptly because some symptoms of injuries can take days or longer to develop. Report your injuries. You are required to report your workplace injuries to your supervisor within 30 days. While you can report it orally, it is best to do so in a written notice or email. You should provide as many details as possible. Keep a copy of the notice for your records. The sooner that you notify your supervisor of your accident and injuries, the stronger your workers’ compensation claim will be. File your claim. In order to receive workers’ compensation benefits, you must complete a First Report of Injury (FROI) and file it with your workers’ compensation insurance company or the Department of Labor and Industry. It must be written, signed, and filed within one year of an injury or illness. The insurer must decide whether to accept or deny your claim within 30 days of receipt of it. Retain an experienced attorney. To ensure that you comply with Montana’s workers’ compensation laws and receive the benefits that you deserve, you should retain an experienced workers’ compensation attorney as soon as possible. He can advise you of your rights and negotiate your settlement with your employer’s worker’s compensation insurance company. Did you suffer serious injuries or occupational illness at your job? Attorney Lucas Foust at the Foust Law Office is here to answer your questions about your rights and guide you through the process of filing your claim. To get started, fill out our online form to schedule your free, no-obligation consultation. My employer was negligent, can I receive any money for my pain and suffering? Workers Compensation benefits are limited to those benefits laid out under the statute. Montana law does not allow for compensation for pain and suffering and emotional distress. Over the past 30 years, workers compensation benefits have been dramatically reduced. Can I be retrained for other work? Yes, you may be eligible for vocational benefits under Section 39-71-1003, MCA. Under Montana law, an injured worker may be eligible for up to 104 weeks of TTD benefits as well as payment of in-state tuition at one of the state’s universities or vocational programs. In addition, the workers compensation insurance carrier may be required to pay for books and moving expenses. An injured worker must make this request within 78 weeks after reaching Maximum Medical Improvement. What can I do if my employer does not have Workers Compensation insurance? If your employer does not have Workers Compensation insurance, you are entitled to receive workers compensation benefits through the Uninsured Employer’s Fund (UEF). You are entitled to the same benefits as other workers whose employers have Workers Compensation insurance. However, because your employer broke the law and did not provide you with mandatory coverage, you may bring a separate civil lawsuit, separate from your claim with the UEF. If I am not a U.S. citizen, can I still apply for workers' compensation benefits? Yes, you are still eligible for Workers Compensation benefits, even if you are here in this country illegally. Our office has represented a number of undocumented workers who were eligible for workers' compensation benefits. How long can I receive medical benefits? A claimant can only obtain medical benefits for a period of 60 months after the date of the injury or diagnosis. This limitation is set out under Section 39-71-704(f), MCA. This 60-month limitation can be waived by the Department of Labor and Industry and does not apply if the injured worker is permanently totally disabled. A claimant who is permanently totally disabled will continue to receive medical benefits as long as he or she is considered permanently totally disabled. What do I do if I cannot return to the same type of work I was doing when I was injured? Injured workers in Montana may be eligible for Permanent Partial Disability (PPD) benefits under Section 39-71-703, MCA and vocational benefits under Section 39-71-1003, MCA. There are certain criteria that must be met before the claimant is eligible for benefits under these statutes. To be eligible for benefits under Section 39-71-703, MCA, an injured worker must show that he or she is unable to return to the time of injury job and has realized an actual wage loss, and suffered an injury qualifying for an impairment rating. An injured worker who meets these criteria will be eligible for either wage loss compensation of less than $2 per hour or wage loss compensation greater than $2 per hour. Once these criteria are determined, a claimant’s entitlement to compensation can be figured using a formula which considers the impairment rating, amount of wage loss, and lifting restrictions. These benefits can be paid out on a bi-weekly basis or in a lump sum. My workers comp claim has been denied, what do I do? Do I have to hire a lawyer? If your claim has been denied, you can appeal the insurance carrier’s decision to the Montana Department of Labor and Industry (DLI). Under Montana law, the DLI has jurisdiction over workers compensation disputes until a mediator from the DLI has rendered his or her recommendation. A claim cannot be filed with the Workers Compensation Court until this process has been completed. You do not have to have a lawyer to complete the mediation process. The mediator’s recommendation is not binding and merely begins the process of a worker’s compensation claim. What compensation do I receive if I cannot work? 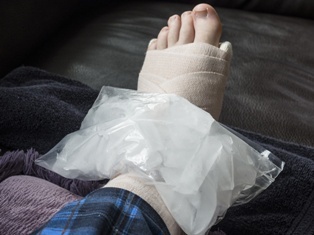 If you have been injured at work and are unable to return to work, you are likely entitled to Temporary Total Disability (TTD) benefits under Section 39-71-701, MCA. TTD benefits are calculated by taking the workers four previous pay periods and determining the Average Weekly Wage (AWW). Once the AWW is determined, the TTD rate is calculated multiplying the AWW by 2/3. Tax deductions are not withheld from the TTD funds received by the injured employee. These benefits are paid on a bi-weekly basis. If your claim has been accepted, or accepted on a conditional basis under Section 39-71-615, MCA, your medical benefits will be paid by the workers compensation insurance carrier. You will be provided a workers compensation claim number which you can provide to the health care provider. The provider will pay the provider directly. From our office in Bozeman, we represent clients all over the state of Montana. Fill out the contact form below to tell us about your case, and we will be in touch with you shortly. If we believe we can help, we will take your case. If not, we will be glad to offer advice on the best course of action for you. Fill out the contact form below to tell us about your case, and we will be in touch with you shortly. The information contained in this website is for educational purposes only!!! No other purpose! Whether you have hired my law firm, another law firm, or are handling your claim yourself, the information on this site cannot be considered legal advice. In addition, this is in no way to be considered the creation of an attorney-client relationship. An attorney-client relationship is only to be considered to have occurred if we have entered into a written agreement signed by both parties. Until a signed agreement has been entered, there is no attorney-client relationship. If you have hired another attorney to assist you in managing your case, please do not use the contents of this website to contradict your current attorney. Feel free to raise questions and/or concerns but allow your attorney the opportunity to explain him or herself. I wish you and your family the best of luck in dealing with whatever legal situation has given rise to your need to obtain this educational material.